This Tutorial present how will optimize your Final Gathering. 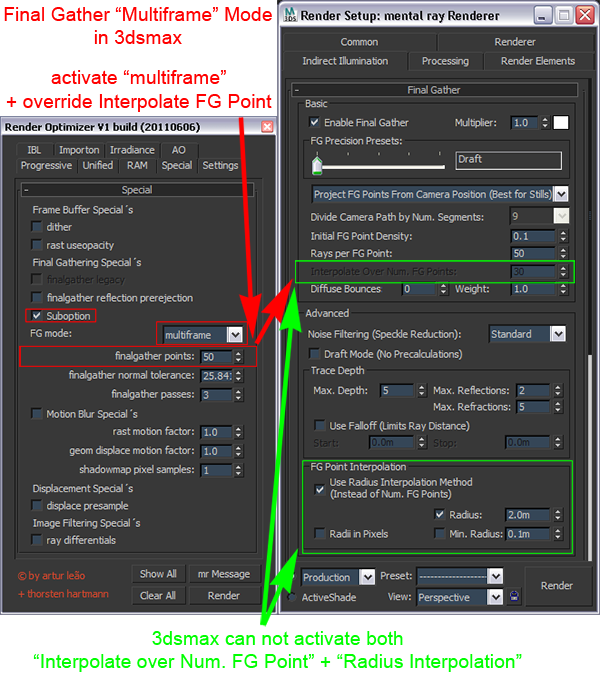 Use the new Final Gather „Multiframe“ Mode in 3dsmax2011/12 and Final Gather „Reflection Prerejection“. finalgather precomp legacy ( at 3dsmax2012 ) to use the classic precomputing Display Format. If turn on set FG-Passes to zero. finalgather passes to optimize the precomputing view at the rendering.